There are challenges in all industries, but the challenges that the manufacturing industry has been facing over the past years has a large impact in the way they do business. Where do these challenges come from? Some of them are due to the ever changing world economy as a result of changes to trade agreements, int increase in fracking, and the fluctuating cost of oil. A few are due to the natural passing of time with employees getting older, changing business needs and building and facility maintenance requirements. Others are due to needs of the consumer base and the transparency that they demand of the products they use. In the end, these challenges force manufacturers to stay flexible in order to continue doing business. The gap in skilled workers is causing a lack in good employees. Recent surveys show 83% of manufacturers say that the lack in skilled workers hurts their business. They also cite difficulty finding employees with a good work ethic. While companies can increase the training programs to teach new employees more about the tasks of their job to offset the lack in skills. In the end, they still have trouble finding employees that show up on time, stay at their station, and are reliable. The employer has to spend more time training and rehiring new employees which results in a burden of time and money. It’s important to note that manufacturing jobs start a domino effect on job creation in other areas. For each employee who stays with a manufacturing job, there are 2.9 jobs created in other industries. Unlike an accounting firm or physical therapist office, manufacturing facilities take a huge number of square feet to accommodate all of the machines needed to make their products. The rising property taxes and building maintenance is causing companies to re-evaluate their finances. They are also faced with changes in healthcare costs and high workers’ compensation. An employer could make the best financial decisions and plan for the year but get hit with unexpected and uncontrollable costs like property taxes and workers’ compensation. All types of manufacturers are facing new regulations with the goal to control product safety, chemical traceability, and recycling and reclamation processes. These regulations are all beneficial for the consumer, but they come at a cost to the manufacturer. The changes in processes, packaging, and labeling can impact the cost of a product. Companies need to fully understand their supply chain in order to prove compliance. Manufacturers not only need to know their processes but those of their suppliers as well. They could be held accountable for tracking the usage of specific items or ingredients from the customer level back to its origins. Two regulations that manufacturers deal with are UDI (Universal Device Identification) for medical devices and REACH (Registration, Evaluation, Authorization, and Restriction of Chemicals) for products sold within the European Union. Compliance with regulations must be taken seriously because they could result in injury to an employee or consumer, negative impact to the company’s reputation, regulatory audits, and financial crisis. Ultimately, the cost of the regulations and traceability is paid out of the manufacturer’s pocket and could be a large expense to bare. Working in the manufacturing industry used to be viewed as a very positive career choice. It was seen as the way to achieve the American dream. That bright outlook on the manufacturing sector has since faded. Only about 17% see manufacturing as a top career choice. However, after decades of decline, U.S. manufacturing is experiencing a resurgence, and organizations are working to promote the manufacturing industry and its role in growing community and national strength. To learn more about the industry, check out the Manufacturing Day website and see how you can get involved in an event near you. Each year numerous manufacturers host tours, seminars, and presentations to encourage the success of future generations in the manufacturing industry. Do you see a career in manufacturing? We are always looking for Mixer/Extruder Operators and Maintenance Technicians. Take a look at our employment opportunities HERE. Do you currently work for a manufacturing company? We would like you to share how you first got started working in the manufacturing industry. Leave a comment below. 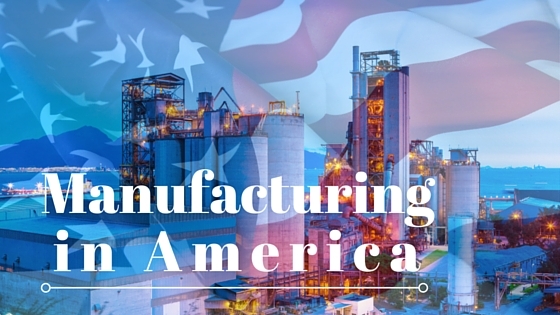 More great articles: 6 Challenges Facing Modern Manufacturing Companies, Facing Down the Biggest Challenges in Manufacturing Today, and Does America Need Manufacturing?. We are excited to help reduce your raw material cost.